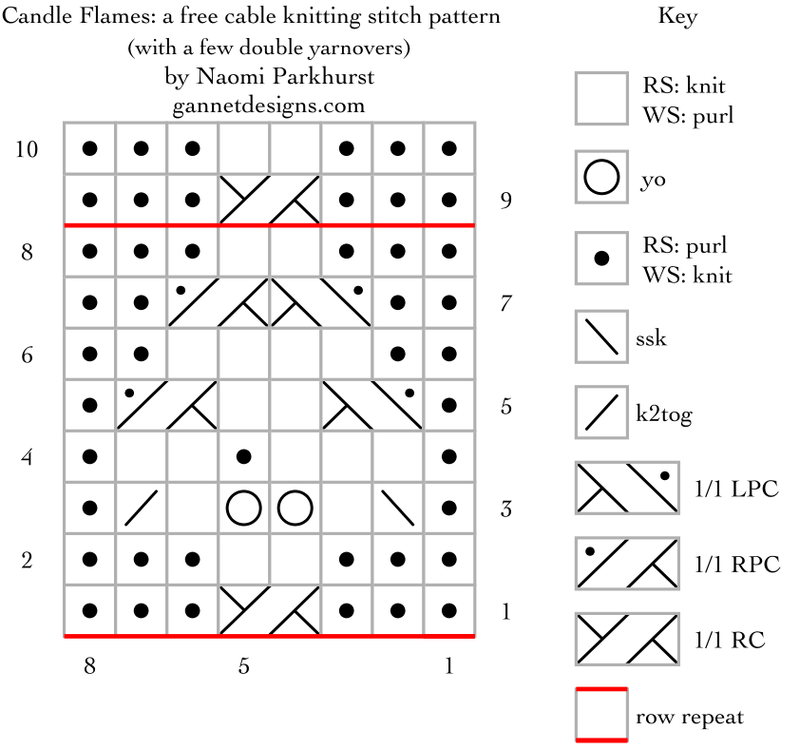 Candle Flames is a multiple of 8 stitches and 8+2 rows. Row 1 (RS): *p3, 1/1 RC, p3; work from *. Row 2 (WS): *k3, p2, k3; work from *. Row 3: *p1, ssk, k1, yo x 2, k1, k2tog, p1; work from *. Row 4: *k1, p2, (k1, p1) in double yo, p2, k1; work from *. Row 5: *p1, 1/1 LPC, k2, 1/1 RPC, p1; work from *. Row 6: *k2, p4, k2; work from *. Row 7: *p2, 1/1 LPC, 1/1 RPC, p2; work from *. Row 8: *k3, p2, k3; work from *. 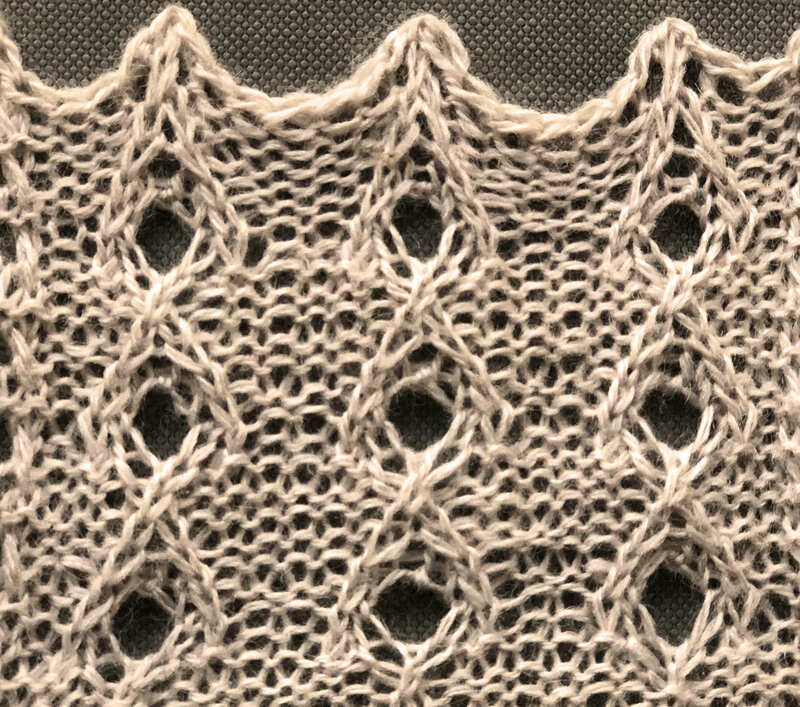 Row 9: *p3, 1/1 RC, p3; work from *. Row 10: *k3, p2, k3; work from *.